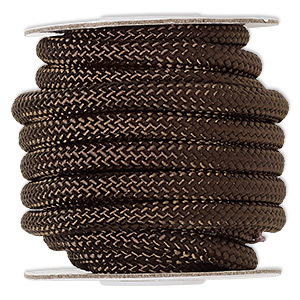 Cord, nylon, dark brown, 5mm braided. 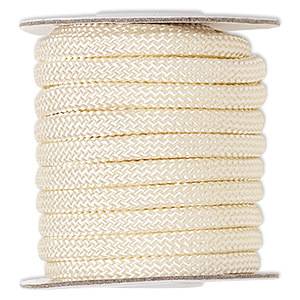 Sold per 60-foot spool. 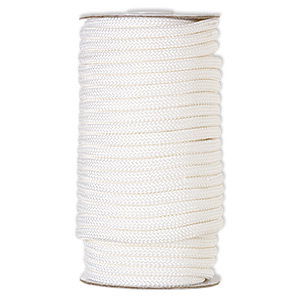 Item Number: H20-6571BS Have a question about this item? 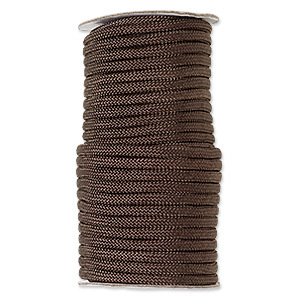 Machine-made dark brown nylon cord presents consistent color and diameter. 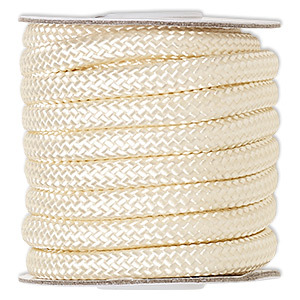 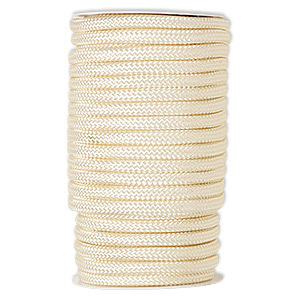 Strong, flexible braided cord is suitable for single- or multi-strand jewelry designs including Chinese knot projects. 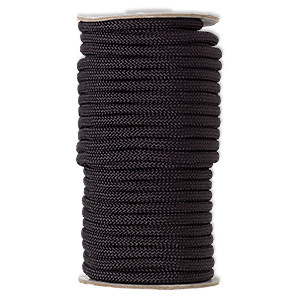 Explore countless design possibilities with this versatile cord including lanyards, belts, dog leashes and key chains. 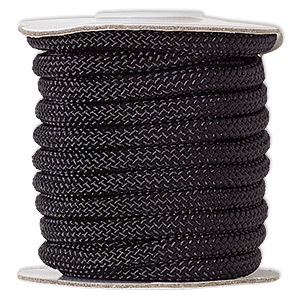 Recommend cutting and heating ends to prevent fraying. 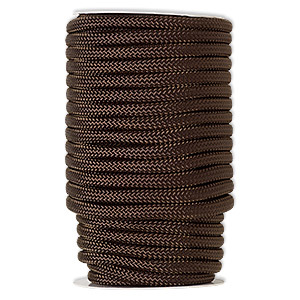 Due to the manufacturing process, cord may be in 1 or 2 sections. 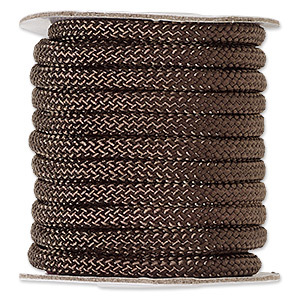 Cord, nylon, dark brown, 5mm braided. 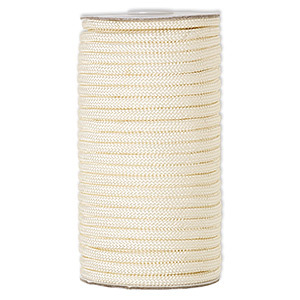 Sold per 15-foot spool.